I am so confused as to what to do on this one. I have tried looking for a video of it on Scrimba, but can’t find any video at all right now. Just set the fallback background property above the current background. 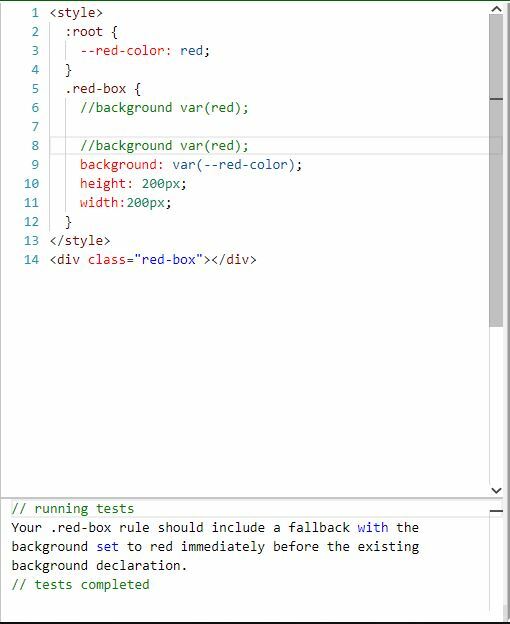 If the browser doesn’t support variable then this background will work; otherwise, this background will be overwritten by the next background. What am I doing wrong here? I’m so confused.